25 April 2018 (Toronto, ON) – When Prince Harry marries Ms. Meghan Markle next month, the Royal Wedding Ceremony will be recorded live and released within hours of the service ending on all streaming services via Decca Records/Universal Music Canada, the country’s leading music company. Decca, one of Britain’s most historic record labels, will have the privilege of capturing the entire service. The official recording of the Wedding Service, to be held at St George’s Chapel, Windsor Castle on Saturday, May 19, will be available on streaming platforms that same day and will be released in Canadian retail stores on May 25. The physical album will include a special collector’s booklet. The recording will also be made available on vinyl. Musicians confirmed to perform at the wedding ceremony include British cellist Sheku Kanneh Mason, Welsh soprano Elin Manahan Thomas, The Choir of St George’s Chapel, and Christian gospel group The Kingdom Choir. The Orchestra, conducted by Christopher Warren-Green, will be made up of musicians from the BBC National Orchestra of Wales, the English Chamber Orchestra, and the Philharmonia. State trumpeters are drawn from all ranks of the Band of the Household Cavalry, and will provide ceremonial support during the Service at St George’s Chapel. The music will be under the direction of James Vivian, Director of Music, St George’s Chapel. Decca Records is a part of Universal Music, the world’s leading music company, and has previously recorded and released the Wedding of The Duke and Duchess of Cambridge in 2011, as well as the Wedding of The Prince and Princess of Wales in 1981, and the Funeral of Diana, Princess of Wales in 1997. 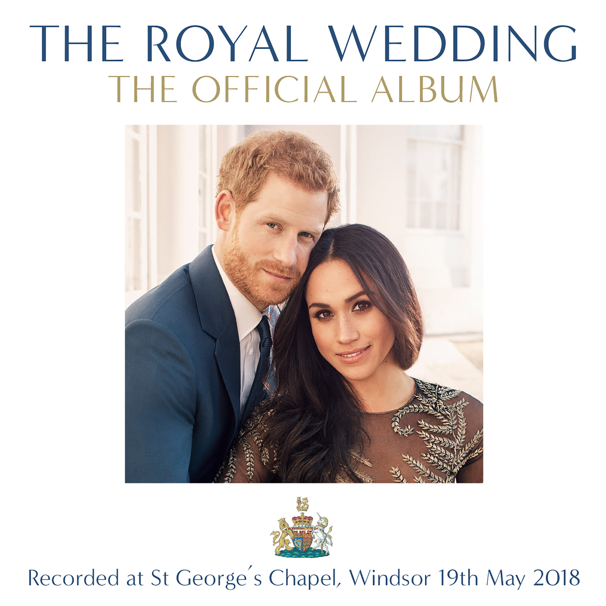 This uniquely original new recording will be the next in a historic line to mark major milestones for The Royal Family, and as such, it will enter the homes of millions across the whole world. The album will be produced by one of the world’s finest classical record producers, Anna Barry, who has produced over 500 recordings of distinction over 25 years, ranging from works by Andrew Lloyd Webber to opera at the Mariinsky Theatre with Valery Gergiev, and many other legendary artists including José Carreras and Zubin Mehta. Decca will make a donation per album sold to support the charitable work of The Royal Foundation of The Duke and Duchess of Cambridge and Prince Harry. The Royal Foundation is used as the main vehicle for Their Royal Highnesses’ philanthropic activities, including programmes such as Heads Together, Coach Core, and the Endeavour Fund (reg. charity no. 1132048). Ms. Markle will join The Royal Foundation as its fourth Patron following her marriage. 19-year-old cellist, Sheku Kanneh-Mason is one of the brightest young stars in classical music. He won BBC Young Musician 2016, made his BBC Proms debut the following year, and released his debut album, ‘Inspiration’, on Decca the year after that. Sheku is currently a student at the Royal Academy of Music and combines his studies there with an increasingly busy international concert career. He is passionate about making classical music accessible to all and is Junior Ambassador for the music education charity London Music Masters. Prince Harry saw Sheku play at an event in London last June supporting the work of Antiguan children’s charities through the Halo Foundation.